April 28, 2019 is the last day for the Red, Blue, Yellow and Green Lines for the 2018-19 winter season. The Town Trolley begins April 29, 2019 and will run from 7 am -10 pm with a 30-minute frequency. On June 22, the Town Trolley will begin extended hours, from 7 am – 2 am with a 20-minute frequency through Labor Day. ♦Route Change Alert: Effective January 28, 2019 the ESTA 395 North route to Reno will no longer serve the former Greyhound Station on Stevenson St. in downtown Reno which closed in December 2018. The new Greyhound connection will be in Sparks, NV at an unmarked bus stop on Victorian Avenue. It is located directly across the street from the Centennial Plaza Transit Center at the Northwest corner of the intersection of Victorian Avenue and Victorian Plaza Circle. Call ESTA dispatch at 760-872-1901 ext. 22 with any questions. ♦ The 395 Routes to Reno and Lancaster now operate Monday thru Friday for both North and Southbound routes. Providing locals and visitors additional connections to the Reno Tahoe International Airport and Greyhound Station and the MetroLink Train in Lancaster. Real-time arrival information for the 395 Routes is available with the Transit app available from the Apple App Store, and Google Play. Trip planning is provided using Google Maps. Trip planning data is maintained using GTFS Manager from Trillium. Download the free Transit app to your Apple or Android Device to easily track ESTA transit times. SERVICE ALERT: Night Trolley will be on a 30 minute schedule tonight. Service Update 3/23/19 7:00pm: Due to a localized Verizon cellular service outage in the Bishop area, Dial-a-Ride / Nite Rider service is temporarily unable to take calls at this time. Service Update 3/18/2019:Yellow and Green Lines will be running on approximately a 30-minute frequency today only in the Town of Mammoth Lakes. 395 Route Service between Reno and Lone Pine will be using an alternate route. Stops between Gardnerville and June Lake will not be served for the Southbound portion of the trip due to the closure of Highway 395 to high profile vehicles. 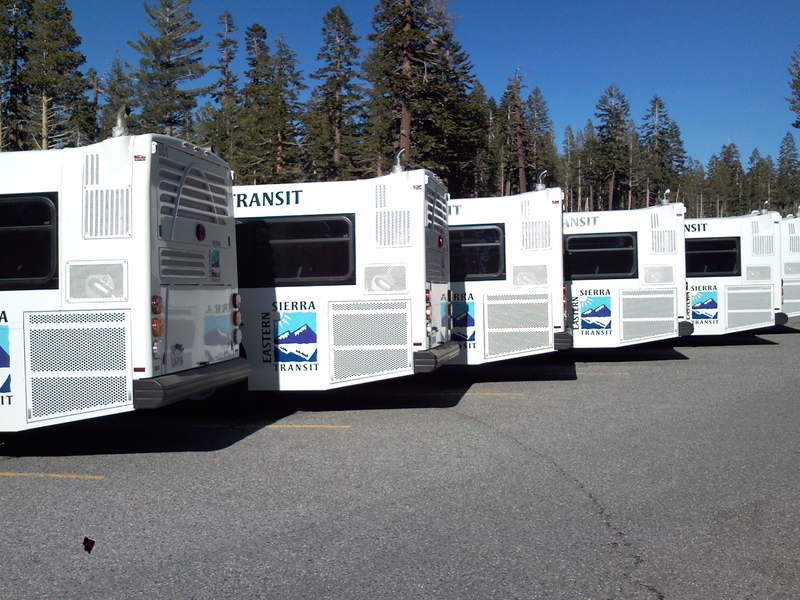 395 Route Service between Lone Pine and Reno will be using an alternate route. Stops between Toms Place and Carson City will not be served for the Northbound portion of the trip due to the closure of Highway 395.